Appraise the children justice system in the Children Court, Circuit Court and the Central Criminal Court. Critique children-specific criminal law including out of court disposals, bail and remand jurisdiction issues and adaptations to the trial process. Apply key children justice principles. Apply practice direction DC04 – Children Court, together with the requisite adaptations to the normal trial procedures as required. Identify the specific protections for children in care and critique the Role of Tusla and the Child and Family Agency. Demonstrate the ethical awareness required of practitioners when representing young persons. Participants will have an opportunity to apply key advocacy skills and competencies that are required when representing young persons who have become involved with the juvenile justice system. This will include practicing the speech and language skills required to effectively take instructions from young persons. Lectures will focus on the steps to be employed in proceedings under the Children Act, 2001 as amended, so as to ensure that such proceedings fully comply with a young defendant’s Constitutional rights as well as international standards for juvenile justice. In workshops, participants will then apply practice direction DC04 – Children Court to given scenarios, designed as it is to ensure due regard for the protection of the rights of the child and to safeguard the young person from avoidable intimidation, humiliation or distress. In order to deepen the learning experience, students will have an opportunity to observe and participate in various role-play scenarios involving Children Court proceedings, and to practice and hone communication and advocacy skills that are particularly pertinent when representing young persons. Workshops are a key feature of this course. These are designed to be interactive and involve working in groups on selected case-study problems and analysis, with an emphasis on the application of the law to common scenarios encountered in practice. Workshop 1: Saturday 23 March 2019: Practical application through case studies and drafting exercises of issues encountered in lecture relating to the international context and the domestic legislative framework underpinning the juvenile justice system; initial responses to offending behaviour; and the role of the defence and prosecution. 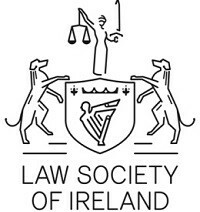 Workshop 2: Saturday 27 April 2019: Practical application through case studies and drafting exercises of issues encountered in lecture relating the judge’s role in managing court proceedings and at sentencing. This course is suitable for solicitors, trainees and barristers. We will also consider applications in limited circumstances from other professionals who have demonstrable experience in the area, including for example social workers and probation officers.